Fine. Trade paperback (US). Glued binding. 733 p. Contains: Illustrations, black & white, Tables, black & white, Figures. New. 100% Money Back Guarantee. Brand New, Perfect Condition. We offer expedited shipping to all US locations. Over 3, 000, 000 happy customers. Trade paperback (US). Glued binding. 733 p. Contains: Illustrations, black & white, Tables, black & white, Figures. Fine. 100% Money Back Guarantee. Brand New, Perfect Condition. We offer expedited shipping to all US locations. Over 3, 000, 000 happy customers. Trade paperback (US). Glued binding. 733 p. Contains: Illustrations, black & white, Tables, black & white, Figures. New. Server bottlenecks and failures are a fact of life in any database deployment, but they don't have to bring everything to a halt. 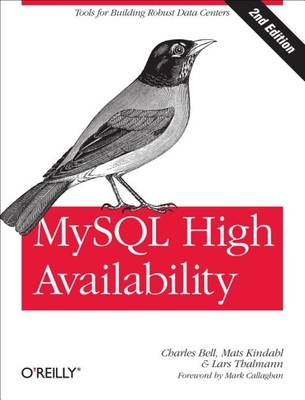 This practical book explains replication, cluster, and monitoring features that can help protect your MySQL system from outages, whether it's running on hardware, virtual machines, or in the cloud. Num Pages: 762 pages, Illustrations. BIC Classification: UNSM. Category: (XV) Technical / Manuals. Dimension: 232 x 178 x 41. Weight in Grams: 1300. 2014. 2nd Edition. Paperback.....We ship daily from our Bookshop.